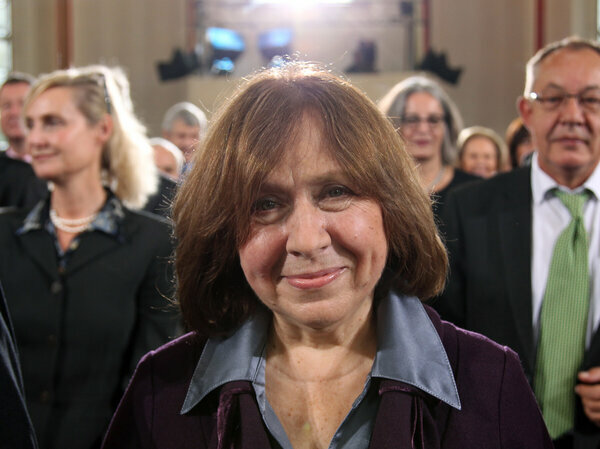 Investigative journalist Svetlana Alexievich has been awarded this year&apos;s Nobel Prize for Literature, the Swedish Academy announced Thursday. Alexievich is the first writer from Belarus to win the prize. "All of my books consist of witnesses&apos; evidence, people&apos;s living voices," she told the Dalkey Archive Press. "I usually spend three to four years writing a book, but this time it took me more than ten years." In an interview following the announcement, the Swedish Academy&apos;s permanent secretary, Sara Danius, elaborated on the decision. "For the past 30 or 40 years, she has been busy mapping the Soviet and post-Soviet individual," Danius said. "But it&apos;s not really about a history of events; it&apos;s about a history of emotions." If you&apos;re new to Alexievich&apos;s work, Danius added, she recommends beginning with War&apos;s Unwomanly Face — a history the Soviet women who fought as soldiers in the Second World War. It has been quite a long time since a nonfiction writer won the Nobel. Not since the heady days of Bertrand Russell and Winston Churchill, over half a century ago, has an author won for a career of work primarily in nonfiction. Alexievich&apos;s prize breaks that long dry spell. The 67-year-old is the 108th writer — and 14th woman — to win the prize. She will receive her medal at a ceremony on Dec. 10.